Regardless of where you live, experts are expecting that Baby Boomers will have a major impact on the local housing market. That’s because this sizeable portion of the population is comprised of 76.4 million individuals. And many of them are expected to make major moves over the next several years as they continue to retire. To that effect, we wanted to share with you the top 5 Baby Boomer real estate trends to watch for in the coming months and years. Although many Baby Boomers plan to move to the Sunbelt when they retire, others may be motivated by different factors. For instance, some may be motivated by staying closer to families. Others may be looking for the least expensive place to live. 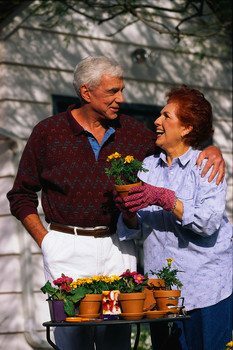 Still others may be more interested in moving to a place with a high quality of life for seniors. Boomers want to pay off their mortgage. Many Baby Boomers own their own home. They’ve been paying a mortgage for decades. Thus, one of their primary goals is going to be to finally pay off the mortgage and own their home outright. In fact, for many, paying off the mortgage is a crucial consideration before they’re willing to retire. They want more convenience. This may look like a smaller home with less maintenance and less work, but it may not. Baby Boomers also care about living in homes that have modern appliances, energy-efficient doors and other features that will make their life easy. As such, many are also opting for one-story homes because of their bad knees, bad hips, etc. Baby Boomers want a walkable neighborhood. They’ve already spent a lot of time in their car, what with commuting to work, taking their kids to and from hobbies, etc. So now they’re trying to get back to simpler times, where they lived just a couple of blocks from the grocery store or the local restaurant. They want to be able to access the amenities they want and need without having to always get in the car. They want to remain on their own. In fact, according to a Merrill Lynch survey, only 10 percent of Baby Boomers say they want to move into any kind of retirement or age-restricted community. Instead, they want to stay in their own homes, in their own neighborhood nad have their own friends. Baby Boomers want to stay close to their loved ones. This is also a high priority for residents. They not only want to be close to their children, but also their grandchildren as well. Proximity to loved ones is certainly key with this segment of the population. We hope you’ve learned something new after reading today’s real estate blog. The Baby Boomers will undoubtedly have a huge impact on the real estate market as they prepare for where they want to live their Golden Years. Please check back here soon to learn about more trends that may impact your local housing market.